Since the time hubby had got the new Olay Regenerist Micro Sculpting kit for my mom-in-law, Olay has become a regular part of her daily routine. The kit comprised of three awesome Olay Regenerist Micro sculptingproducts: A serum, night cream, and an under eye cream. It’s been almost one year she is using the Olay Regenerist Micro sculpting cream and her skin looks definitely better. Noticing the remarkable improvement in her skin, I felt tempted to use the cream on my face. Here is my experience of trying Olay regenerist micro-sculpting cream and my mom-in-law’s review of this anti ageing cream with peptides. The anti ageing cream from Olay comes in an attractive double walled glass jar. It has a glossy carbon black lid and gleaming red inner wall that makes the cream all the more luxurious to look. I liked the soft satiny texture of the cream that almost melted on my skin like butter. Although, I was a little skeptical about the thick texture of the cream making my skin look greasy and gooey. It did nothing of that sort. Like magic it got absorbed quickly and disappeared into the skin. The tiny mica particles in Olay regenerist night cream imparted a subtle glow to my skin. I was expecting to wake up with an even more radiant face. But I was however, disappointed to see two little pimples staring back at me. No doubt, my face looked brighter and shinier but the breakouts spoiled my entire mood. I had to relinquish my desire to buy my own jar of this wonderful night cream from Olay. After all, no one wants to trade in clear skin for some added glow. I realized despite its quick absorbing effect, it is heavy for oily and sensitive skin. The skin works best on mature skin with clear signs of ageing. Olay regenerist micro-sculpting cream is one of the most potent and effective anti ageing cream with peptides for mature and aging skin concerns . It is Olay’s latest and most unique anti ageing formula. With Niacinamide, antioxidants, Hyaluronic acid and Soluble collagen as its active ingredients, the product claims to penetrate 10 layers deep in the skin to bring about dramatic sculpting and shaping effects. Pretty tall claims indeed! Although, this anti ageing cream with collagen and elastin does penetrate deep into the skin, it is certainly not a face-lift in a jar. So while my mother in law has found noticeable improvements in the texture of her skin, she has not felt much improvement in the structure of her skin and face. So if you are expecting Olay regenerist to add volume and structure to your lose sagging skin, you are in for disappointment. The deep nourishing formula however, does help make the skin cells look plump and hydrated. The regular use of this anti ageing cream has helped my mom-in-law get rid of some of the fine lines, wrinkles, dark spots and blemishes from her face. Her skin looks so much smoother, brighter, and firmer than before. Will I Repurchase: Yes, for my mom in law. For myself, would rather prefer the fairness night cream from Olay. 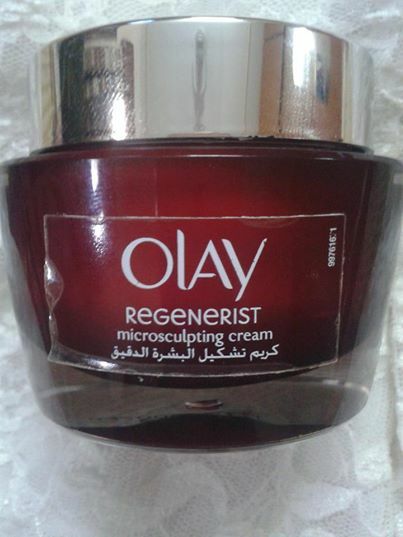 Overall Take: Overall, Olay regenerist micro sculpting cream is one of the best anti ageing creams in India. It delivers to its claims of smoothening and firming the skin. However, don’t also expect miracles from this cream. It is not a substitute for professional cosmetic treatments as promoted in the ads. Although, it will not give you a mini-lift but it will certainly delay the need for one if you start using the cream at the right time and at the right age.